"I was always interested in the law, and having studied Indonesian language throughout high school I was looking for a way to combine these two interests. 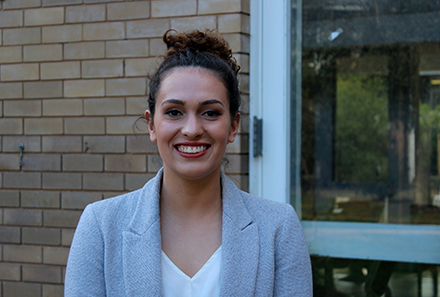 I came across ANU’s flexible double degree program in year 12 and discovered that a double degree in Asian Studies and Law was the best way to pursue both of my passions. A highlight of my CAP degree thus far has been undertaking a field course on the Thai/Myanmar border in 2015. This course centred around three main issues – human trafficking and transnational crime, education in Thailand and Myanmar, and the role of NGOs in the region. It was an eye opening and truly rewarding experience, which allowed me to interact with a range of stakeholders - from government officials to victims of exploitation. This course allowed me to combine my passions for law and the Asia Pacific through writing a research paper on human trafficking law in Thailand. Next year I hope to intern in Southeast Asia at an NGO focused on human trafficking after a semester studying abroad in Indonesia. Studying a CAP degree at the ANU has provided me with vital skills for my future career. I’ve had the opportunity to study Indonesian and Thai language, and have vastly improved both my linguistic and cultural fluency. The range of overseas mobility programs that CAP offers such as field courses and exchange programs will also give me highly-regarded practical experience working and living in the Asia Pacific region."